We come together today to celebrate the life of our Sister Joan Cordis Westhues. While we mourn her passing from our midst, we rejoice with her as she encounters the God she loved so much and served so well. Sister Joan Cordis died on June 13, 2015. Marjorie Ann Westhues, was born on January 30, 1924, in Jefferson City, Missouri to Henry John Westhues and Helen Margaret Roer Westhues. She had five sisters, Jane, Marilyn, Elaine, Rosemary, and Bebe, and one brother, a priest, Msgr. John Westhues. Marjorie Ann graduated from Immaculate Conception and St. Peter’s High School in Jefferson City in 1941. 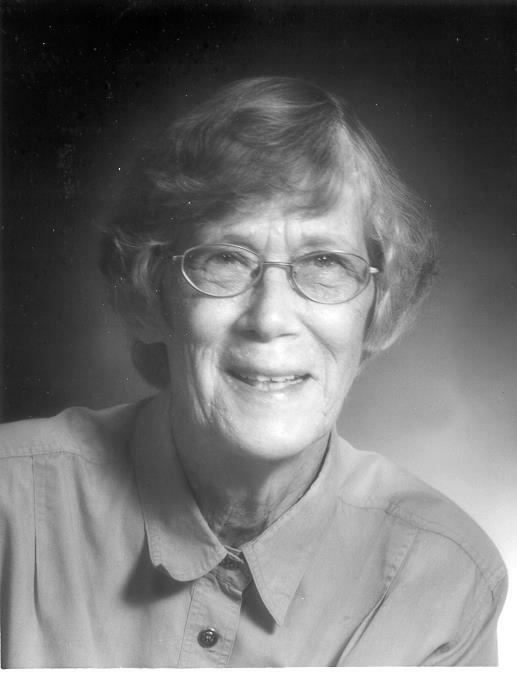 Two years later, she applied to enter the Maryknoll Sisters Congregation saying, “After reading your literature Maryknoll seemed to be the only answer to my many prayers for guidance in choosing a [religious] community.” Marjorie Ann entered Maryknoll at Maryknoll, New York from Immaculate Conception Parish on September 6, 1944. At Reception, she received the name Sister Joan Cordis, the name she retained throughout her whole religious life. She made her First Profession of Vows on March 7, 1947 at the Motherhouse and her Final Vows on the same date and place in 1950. In 1951, she received her overseas assignment to the Philippine Region. By then, Sister had completed much of the education she would need for her mission work. She had attended St. Mary College in Leavenworth, Kansas from 1942-1944 before her entrance and graduated from Manhattanville College of the Sacred Heart, Purchase, New York receiving her Bachelor of Science degree in Chemistry in 1949. She had also taken courses in Medical Technology at Mary Immaculate Hospital, Jamaica, Long Island New York in 1950. Later, during her renewal periods she took a variety of summer courses at Notre Dame University. As a missioner in the Philippine Region, she played numerous roles, filled in many needs. In Manila, she was a teacher of religion, English, Math and Science. In Lupon, and in Davao City, she taught theology and English. On the island of Yap, she taught grades 7-9. Turning to health needs in the late 1970s and 1980s, she engaged in Community Extension Services in Cotabato City. Then she trained local health workers, set up Community Based Health Programs, and became Assistant Health and Development Coordinator in Davao City for the Mindanao Region Office/Programs. She also worked in the Community Based Health Program in Buug, Zamboanga del Sur. Perhaps the most memorable time for which Sister Joan Cordis is best remembered, however, is the 10 years she served as Novice Mistress at the Maryknoll Sisters Philippines Novitiate in Quezon City. It is this work that revealed the depths of her personality, her spirituality, her compassionate heart, and her astute assessment of the characters of those under her charge. This is expressed most beautifully in the following statement written by one of her novices at the time, Sister Joanna Chan, MM. Failing health required her return to the Maryknoll Sisters Center in New York in August 2013. As with her students, Sister Joan Cordis also impressed the nurses and aides, who so lovingly cared for her during her last illness. She was gentle, humble, patient and calm, and always expressed gratitude for any favor done for her. Today we welcome with us Sister Joan’s sister, Marilyn and brother-in-law, Robert Evans of St. Louis, Missouri, her two nieces, Julie Cadwallader Staub of South Burlington, Vermont and Mimi Staub Bowlin and her husband, John. We also welcome Father William Galvin, MM, who spent long years in the Philippines, who will celebrate the Mass of Resurrection for our Sister Joan.